In my struggle to make sense of the entertaining but baffling thinker, Slavoj Žižek, I’ve been reading several articles in the new International Journal of Žižek Studies. One of the essays by my friend Scott Stephens offers a helpful account of the central theme of Žižek’s work. In this essay, “Žižek, My Neighbour: Regarding Jodi Dean’s Žižek's Politics,” International Journal of Žižek Studies 1:1 (2007), Scott characterises Žižek as the quintessential theologian of global capitalism. 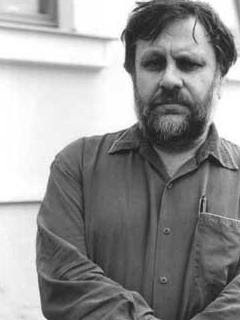 “[T]he theological dimension of Capital is the fundamental determinant of Žižek’s work, the inert mass around which his entire conceptual apparatus orbits. The planetary metaphor here is not, in fact, entirely inappropriate. For as Jacques Lacan put it, the Real – the immutable is-ness of reality as such – is, like the stars, always-in-the-same-position (toujours à la même place). When Žižek states unequivocally that Capital is Real, he is making a serious claim about the ontology of our global situation: the specific nature of Capital demands an appropriate form of philosophico-political activity. Direct intervention inevitably gets folded back into the existing economic order, such that even the harbinger of the demise of global Capital – the threat of ecological cataclysm – can be transubstantiated into an expression of Capital itself. The only proper activity now is to think Capital, not as it actually exists, but theologically, at the level of its substance” (p. 3). Scott thus insists that Žižek is not at all concerned with proposing an alternative political system to global capitalism. Rather, “the one question that matters” for Žižek is: “What do thinking and writing, as opposed to prescription and action, mean…?” The endless act of writing is thus itself Žižek’s politics, i.e., his theology. “If Marx was the one to analyze (indeed, to theologize) industrial capitalism, then Žižek is the theologian of late- or virtual-capitalism” (p. 4). A little Spanish theology, anyone? Who's afraid of the social Trinity?